@LaviniaThanks Lavinia☆ You should try it someday! This looks wonderful! May I repost it and share with my friends at sakuragakuen.org? We can link back to your site. sakuragakuen> Thank-you it would be an honor. 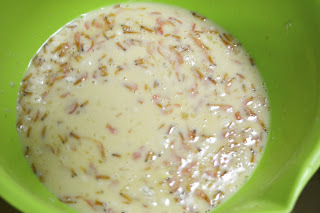 You are welcome to repost as long as you clearly show that this recipe is from Littlejapanmama.com and link back. I also have a video which I haven't posted yet, and I think that might be even more useful. I just moved to Brisbane and couldn't find Takoyaki balls. I love this food. Maybe I should just do it myself. 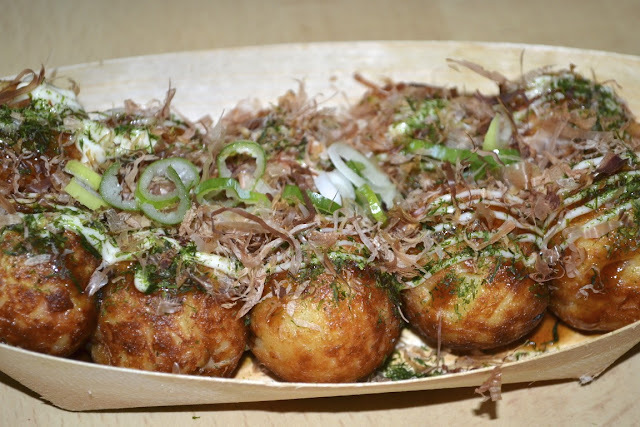 Where can I buy the cooker for Takoyaki balls? Thank you for your help. I love your website. Hi Tess, that's a good question! I've only ever bought takoyaki hotplates in Japan, I'm sorry! An easy alternative is to have a look in the freezer of a good Korean grocery store like Hanaro mart in Sunnybank. You can buy a large bag of frozen takoyaki, quite cheap. Not as fun as making them yourself, but they're not too bad! May I know what is takoyaki no ko? Hi jacko and beauty, takoyaki no ko is takoyaki packet mix, or, literally, takoyaki flour. Hi there. How did you cook the octopus? Medium sized octopuses are pretty expensive in my area and I usually buy the small octopus but whenever I boil it, it turns out rubbery and has that fishy taste. ...a bit rubbery anyway but that's fine. If it's fresh it should have a good octopus taste. 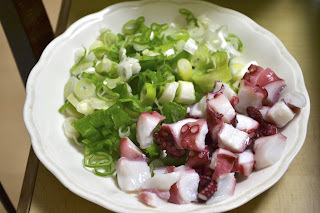 Anyway, even if you can't get perfect octopus, any boiled octopus is fine. 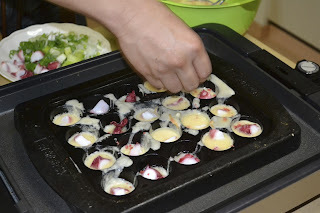 You only put a small piece in each takoyaki ball, and it gives the whole thing a yummy flavour. Also: I substitued chicken stock with curry powder.